for both one-off and batch production. We realize any kind of installation, from a simple spray wall and spray cabin to a complete coating line. There is a good reason why our wet coating installations make us the Netherlands market leader. spray booths for coating perfume bottle lids. Coating large and/or heavy objects is often combined with rail transport systems. For this reason, we - the only company in the Netherlands! - have complete control of the engineering and production processes of spray booths and rail systems. 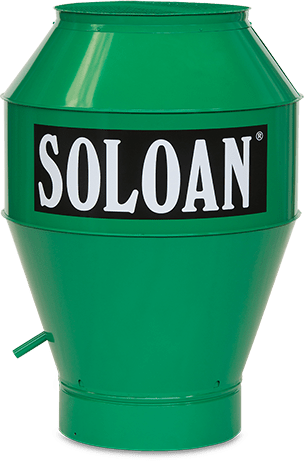 Soloan fit many spray booths with an (automatic) rail transport system, used for example by industrial plate machining companies and timber factories.